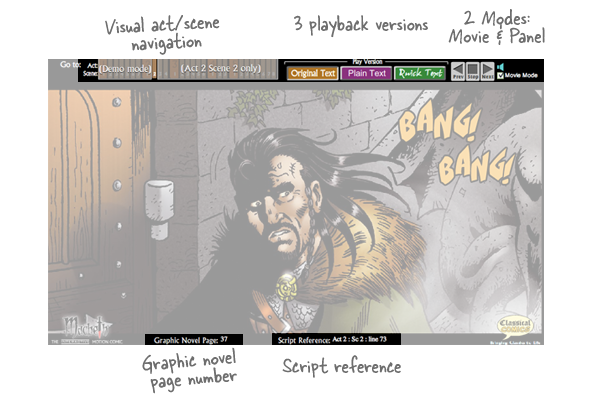 If you’re an e-learning designer looking for examples of engaging scenarios, visual storytelling and learner control all in one asynchronous course, you’re in for a real treat with this Macbeth motion comic. Yes, that Macbeth. Admittedly, Shakespeare knew a thing or two about writing and storytelling. But before you say, “I’m no Shakespeare” or dismiss this project as too custom or high-end, keep reading. 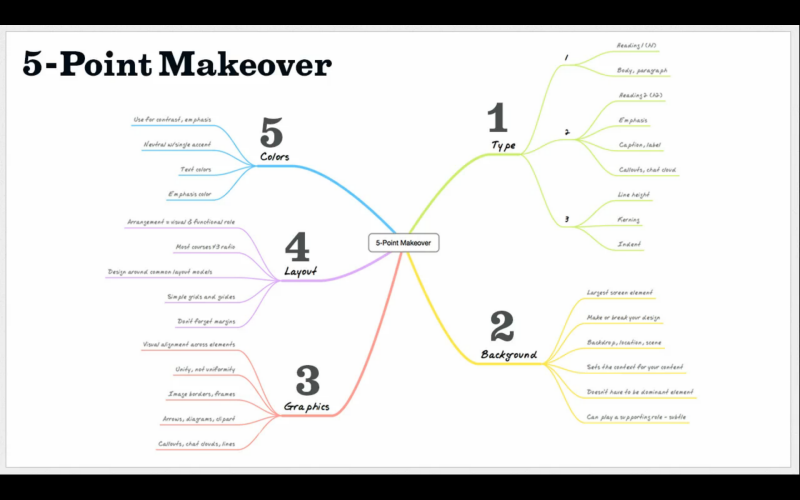 There are some creative ideas and storytelling techniques any designer can use in their next e-learning project. What makes this motion comic so special? Let’s look at some of the features that make this such an engaging model. Learners can choose to watch the course in movie mode or slide mode. In movie mode the course plays through the slides and learners can take everything in as a movie. Think entertainment mode where learners experience the course as a movie. For more control, learners can view the course in panel mode. Panel mode is more of a typical slide, click next, approach where learners advance through the slides on their own. Most rapid authoring tools offer designers an option for controlling course playback. The idea is to look for ways to balance the course’s storytelling mode and learning mode by using a combination of playback options. Want to talk learner control in e-learning? How about offering your learners multiple versions of the e-learning script? Take a look at the three options for viewing the course. What’s also cool is the options are available anytime during the course. You can switch versions as often as you like. When would this model be effective? Legal and compliance e-learning are a couple ideas. Just think about it. How many times have we re-written our courses based on requests demands from our SMEs who insisted we retain the legal wording in the course? How will this motion comic make me a better e-learning designer? First, I recognize this course was performed by voice actors and not some unlucky cube mates who got pulled into a recording session. But that’s precisely why this is such a great example. Most of us don’t work with professional voice actors. This is a good example to study how the pros read the lines. The dialog is quick and the sentences are shorter. There’s emotion in the dialog. The voice actors are living the scenes. Next time you nominate some folks to read your e-learning scenarios, play a few scenes from this course for inspiration. It’s amazing how well animation and zooming work when used appropriately. When I first viewed the course, it seemed considerably more animated and full-featured that it actually was. But after re-watching some scenes, I noticed the designers used a lot of creative cropping techniques more than anything. Close ups, long shots, pans. Often scenes begin with a long shot and then zoom into a character. These are great techniques to get the most from your course stock photos. 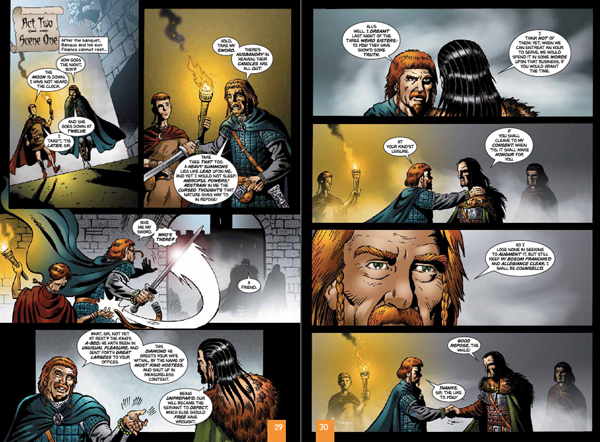 The interactive comic is also available as a read-only, graphic novel. It contains the panels used for the motion comic. Illustrators probably created the still, panel-based graphic novel and then went back and animated individual panels. So what’s your take? Could anything like this work in your organization? Would your legal team agree to using two scripts in a course? How do you use animation, pans and zooms in your e-learning scenarios?